A red and warm white LED. Both in the same bulb. This LED will be red in reverse and warm white in forward. 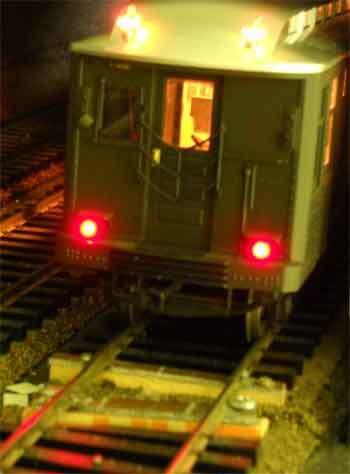 Choose this 2 lead bi-directional LED when you need your DC train or trolley to have red lights in reverse. Also great for other rail road track side effects.